Me scouting future-phenom Mike Trout! Hello all and welcome to a den of pleasures most perverse. The stated mission of this blog will be to collect only the dirtiest minor-league hot stats and most taboo of .gifs and videos for the consumption of our ravenous readers. The information and footage contained within will be safe for neither work nor home and cannot reasonably be viewed without committing at least three deadly sins. You have been warned. Welcome to Prospect Prawn. 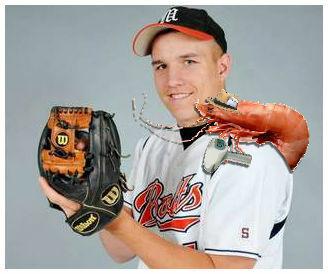 Posted on November 9, 2013, in Notes from the Prawn and tagged Mike Trout, Prospect Prawn. Bookmark the permalink. Leave a comment.